The Buick Encore is a small SUV that is dependable, versatile, and fun to drive. With a swanky new interior fashioned flawlessly and loaded with good driver-assist features, life in the cabin of this SUV is sure to be enjoyable and cozy. 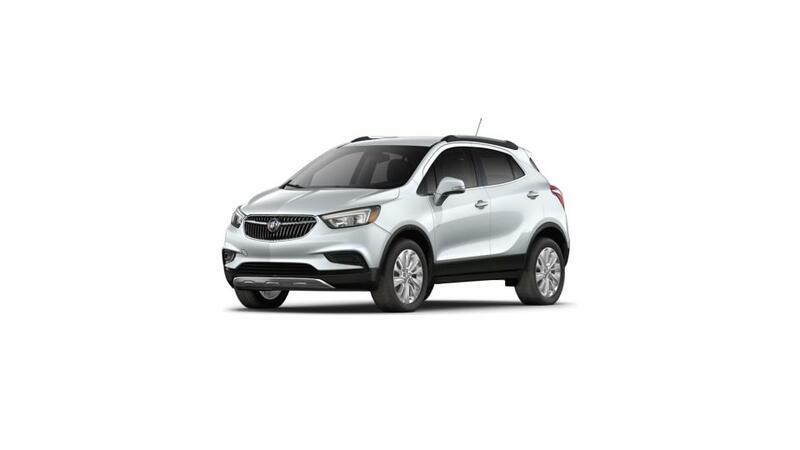 Along with a slender, sculpted exterior structure, complemented by sharp, eye-catching headlamps and a front grille, the Buick Encore instantly gets focus and leaves a lasting impact. The aluminum wheels plus the power moonroof elevate the stature of the Buick Encore, and create a bold statement. With safety features like OnStar and standard airbags surrounding you, Buick Encore drivers will be able to relax and enjoy the ride. Relish smooth connectivity and a multitude of infotainment options in the new Buick Encore. With a turbocharged engine as its driving force, the Buick Encore offers unparalleled performance. You can also test drive the new Buick Encore at our dealership, Chevrolet Buick GMC of Helena, near Great Falls and Townsend, or contact us at (866) 847-1478, to know more.